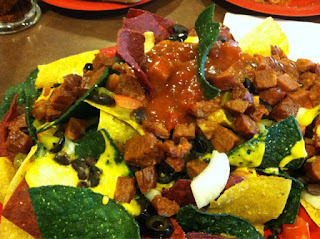 Ever heard of Basque nachos? Well, you have now. Instead of ground beef or chicken, we have chorizo on top. From Moxie Java (not Alejandra's).